Are you marketing your restaurant as much as you should be? You might be doing some marketing on social media channels, but if you’re like the majority of restaurants out there, your efforts are far from effective. Why? You don't have a solid marketing plan. You’re just dabbling in marketing. It’s time to jump all in. Why don't you market more? You probably have a very long list of reasons for not marketing more. This list is holding you down in the middle of the market with all the other restaurants that aren’t marketing enough. And the last thing you want to be is average is the restaurant industry. Being average makes you a commodity. If you don't stand out to your guests, you just blend in. Take a look at Chili's, Applebee's, and those other large casual chains that are fighting each other for market share. Many have started to close locations to get lean for the battle. That’s just the slow death of the casual segment. These are excuses. Focusing on why you can’t instead of why you can is causing you to fail at effective marketing. Fail? Yes, you are failing at marketing. Let's bust open each of these excuses. Yes, you are running a restaurant... right into the ground by not taking marketing seriously. Oh, and that excuse about time? You are never going to have enough time. You make time for the things that are important. As tempting as it is, don’t spend 30 minutes every day chatting about Game of Thrones (or whatever trivial topic) with the chef. Focus on the areas that are going to have a big impact on your restaurant. If you took an honest look at where your time goes during the week, you might be amazed (and a little shocked) where you spend it. Positive testimonials from guests are like little gold nuggets. But unless you own a goldmine under your restaurant, it's hard to live on them. Word of mouth is great; however, the Internet has turned that into world of mouth. With a single click, your positive testimonial can now be seen around the globe... if you’re on the right platforms. What does it cost to start a Facebook page for your restaurant? Nothing. How about a Twitter or an Instagram account? Nothing. Getting started is not expensive at all. If you want to boost your posts to reach more people in your market (geo-targeting), social media is more cost effective than a billboard or print ads could ever be. Now that we've busted a few of the excuses you have for not marketing more, let's discuss how you can make a marketing plan that gets you started in just four steps! You probably have Facebook for your restaurant. How about Twitter, Instagram and LinkedIn? Even if you don't like those other platforms, your guests are out there using them. There are actually around 212 social media network sites on the Internet, so picking up a few extra is not an extreme request. If you do any business catering or host private events at your restaurant, then you must tap into the power of LinkedIn. There are hungry businesses on there looking for ways to appreciate their team with lunch or takeout dinner deals. You just have to make your presence known and market to them. When you first start up on a new social media platform it can be disappointing that you’re not getting many followers. Remember, Rome wasn’t built in a day and neither is a solid social media fan base. Have patience and make sure you’re telling your Facebook followers that you’re now on other platforms too. You need to market that! Please for the love of all that is sacred, stop only appealing to your customers’ hunger! Look through your current social media streams, and (without overthinking it), write down the emotion that each post triggers for you. Hunger, hunger, hunger, hunger, cat meme (humor), hunger, hunger, and wait... hunger. Rainbows aren’t just one color and neither are our emotions. Tap into the depth of being human. Community, family, charity, education, nostalgia, humor, love, and happiness are emotions you want to use more often and with more intensity. Just remember that posting on social media is about keeping your brand top of mind. Which leads us to step three. We could get into a very deep discussion about creating an elaborate calendar for your marketing efforts. But let's keep this simple so you will use it. Get a seven day calendar. Just seven days to start. Now with your new list of emotional triggers, start writing down a different emotion under each day. If you use the emotions listed earlier, you will have one for each day. You can use the hunger emotion too; let's just not make it the primary one as you have in the past. Start on Sunday and go through the week. Then use whatever emotion you started with on Sunday to start over again on Monday. Use all the emotions again, only this time, they will be staggered, so no two emotions are on the same day. You will want to do this a minimum of three times a day every day: early morning, afternoon, and early evening. If your audience isn’t responding to this (and different businesses will achieve different results), you will soon find out, and you can adjust your strategy accordingly. But it’s better to stand out with an aggressive strategy than no strategy at all. Remember that engagement is the real secret to social media marketing success. Use the 80:20 Rule. 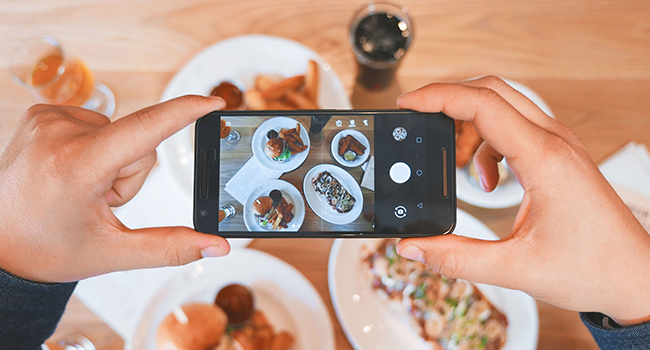 Only 20% of your social media activities should involve posting stuff about your restaurant. The other 80% should involve liking and sharing other people's posts (those who follow your company page; don't get sidetracked by going on your personal page) and replying to comments from fans. Everyone who makes a comment should receive an acknowledgement. When you look at the size and depth of the Internet, you'll soon realize that few people comment. Treat those people like gold! Now you have some new emotional triggers and a social media calendar. Yipes, this appears to be a bit overwhelming (especially if you’re holding onto that “I don't have time” excuse). What is a restaurant to do? 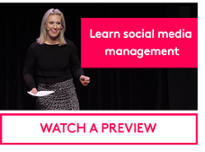 There are quite a few social media management tools out there that can make it appear like you have an entire marketing department at your service. It takes a little work to create content (hey, nothing exceptional is ever easy); however, once you have that, you just need to get that content out to your guests. Hootsuite and Buffer are two social media tools that allow you to spend very little time (like an hour each week) scheduling posts across your social media platforms. Once you have your posts scheduled for the week, all you need to do is spend about 10 to 20 minutes a day engaging with your guests! Break out the That Was Easy button! 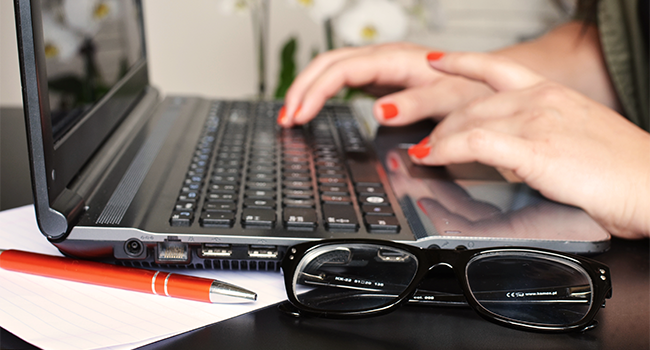 Now, you might be asking yourself how you can make your pages look more professional. You’re envious of those big brands with their polished social media profiles. Why can’t that be you? Can't afford a full-time graphic design team? With online resources like Canva and Adobe Spark Post, you don't need a team of design wizards in the back office. These tools have templates and graphic design images that will take your posts to the next level. If you have a smartphone, you also have access to an incredible tool that can make you truly stand out in your market. The iPhone 7 Plus has a unique dual camera feature (which is rumored to be standard on the new iPhone 8) that allows you to take a picture where the subject is crystal clear and the background is blurry (portrait effect). Imagine this: a picture of one of your staff standing (smiling) in the middle of the dining room. They’re holding a plate of your signature entrée, and the rest of the busy dining room is out of focus behind them. How would that look? One word: likeable. Want to know what separates the restaurants that stand out in their market and those that stay stuck in the middle? Consistent action. They see social media marketing as a must and not a should. Let's be clear – all those things on your list that are a should rarely happen. It’s only when you make a real commitment and turn that should into a must that you will start taking action. Action is the difference between those who wish for things and those who make it a reality. Follow these steps, put them into action, and take your brand to the top of your market. Donald Burns is The Restaurant Coach™. 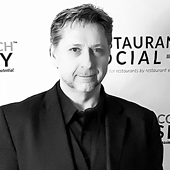 He is a leading authority, speaker, and international coach on how restaurant owners, operators and culinary professionals go from just good to becoming outstanding. His mission: Build your brand. Increase your profits. Strengthen your team.